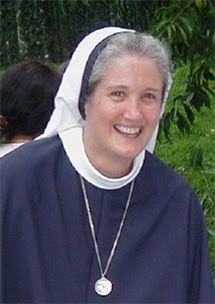 The Sisters of Life is a contemplative / active religious community of women founded in 1991 by John Cardinal O’Connor for the protection and enhancement of the sacredness of every human life. In addition to the three traditional vows of poverty, chastity, and obedience, the Sisters of Life are also consecrated under a special, fourth vow to protect and enhance the sacredness of human life. The book “The Foundations of Religious Life: Revisiting the Vision” consists of essays written by six religious sisters representing five different orders. The topics they address are: religious consecration, the spousal bond, the threefold response to the vows, communion in community, and mission. Also on the talk show “This is the Day” on September 1st will be Matthew Boerke, Director of Youth and Young Adult Ministry of the Diocese of Salt Lake City, Utah. Matthew recently worked at a large Catholic youth camp in Brighton, UT. “The purpose of the camp was to build Catholic community,” said Matthew in an interview with “Intermountain Catholic”.